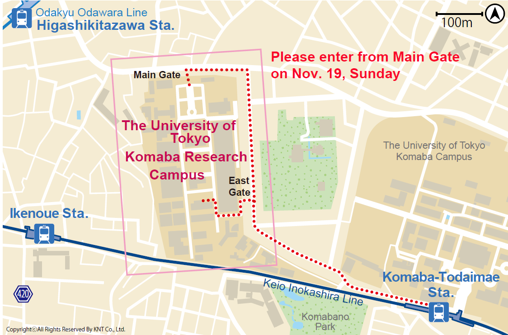 The MOC2017 will take place at Komaba Research Campus, The University of Tokyo. The anniversary symposium will be held at ENEOS Hall in Building 3-s. All other technical sessions will be held at Convention Hall in Building An. 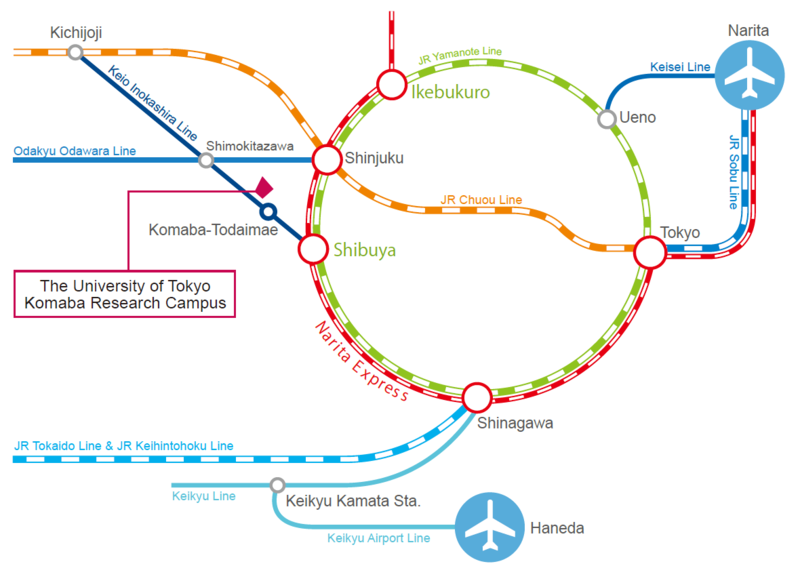 Komaba Research Campus can be reached within 20 minutes from Shibuya Station by train and walk.? Note: The east gate will be closed on Sunday. 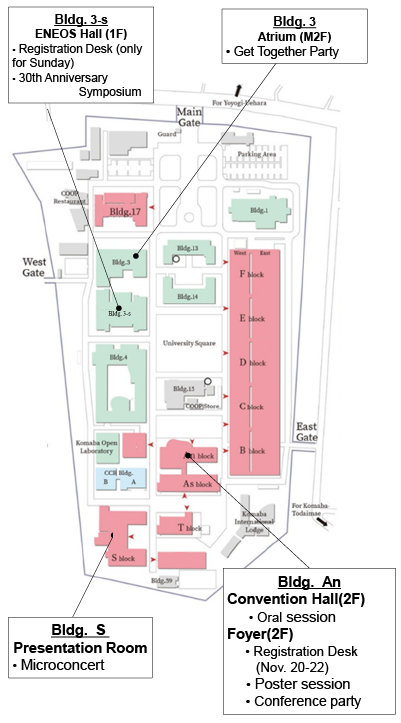 Please enter to the campus from the main gate. See the map below. Take Yamanote Line (Japan Railways) to Shibuya Station. Transfer to Keio Inokashira Line there and get off at Komaba-Todaimae Station. The ride from Shibuya Station to Komaba-Todaimae Station takes about 5 minutes. About 10 min. walk to Komaba Research Campus. Take Keikyu Line to Shinagawa. There, take JR Yamamote Line to reach Shibuya Station. Get off at Shibuya Station and transfer to Keio Inokashira Line to Komaba-Todaimae Station. About 10 min. walk to Komaba Research Campus. Take a Narita skyliner to Ueno Station. There, change to Yamanote Line bound for Shibuya and Shinjuku.